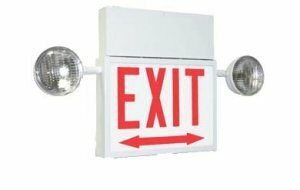 LED emergency exit lighting products are used in many commercial and industrial lighting applications, as well as some residential properties such as apartment buildings and assisted living facilities. 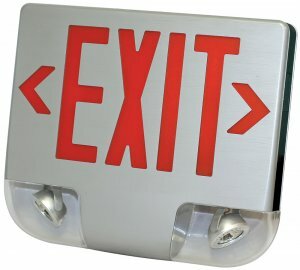 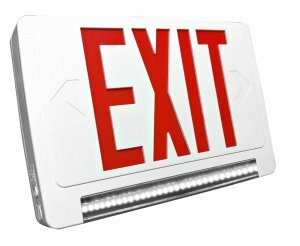 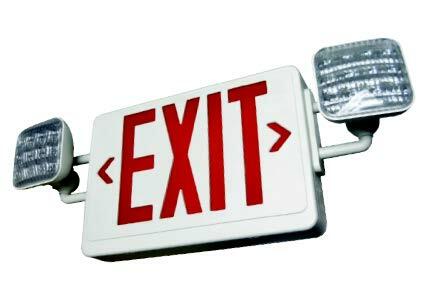 Several different styles of emergency exit signs are available from Contractor Lighting & Supply for various applications including damp/ wet location units as well as a variety of styles and colors available for your emergency lighting needs. 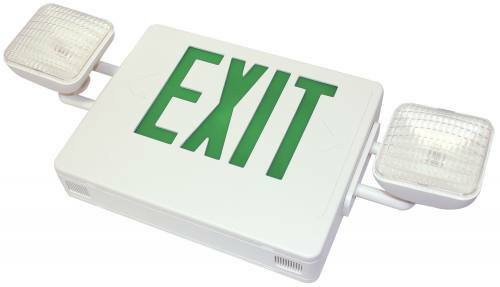 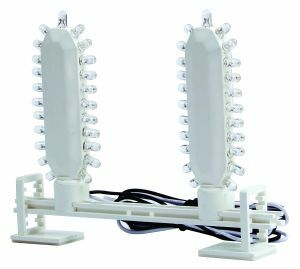 LED emergency exit lights are energy efficient, require less maintenance and are brighter compared to the other types of emergency lights. 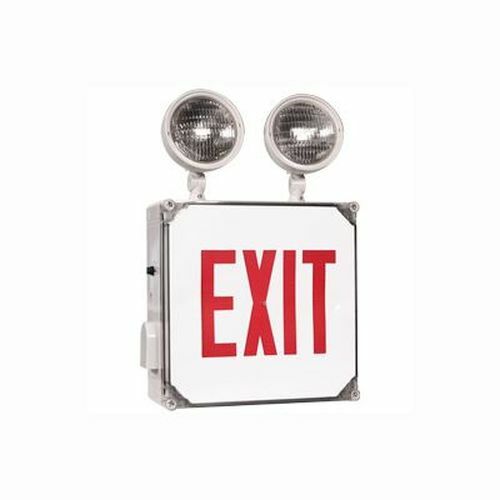 All of our LED emergency exit lights are durable, providing high quality construction, energy efficiency, and competitively priced to fit your lighting budget. 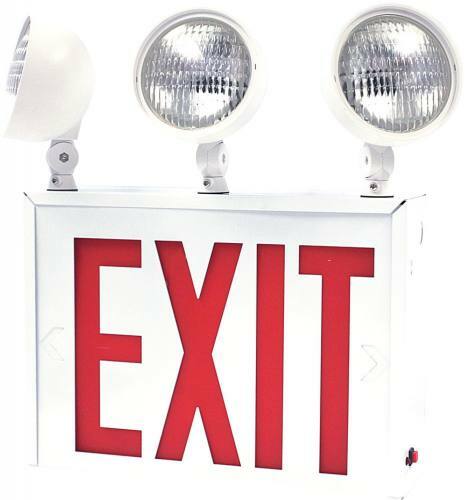 Easy, universal mounting and installation, maintenance free batteries, and long LED lamp life ensures your safety and security needs now and for years to come.